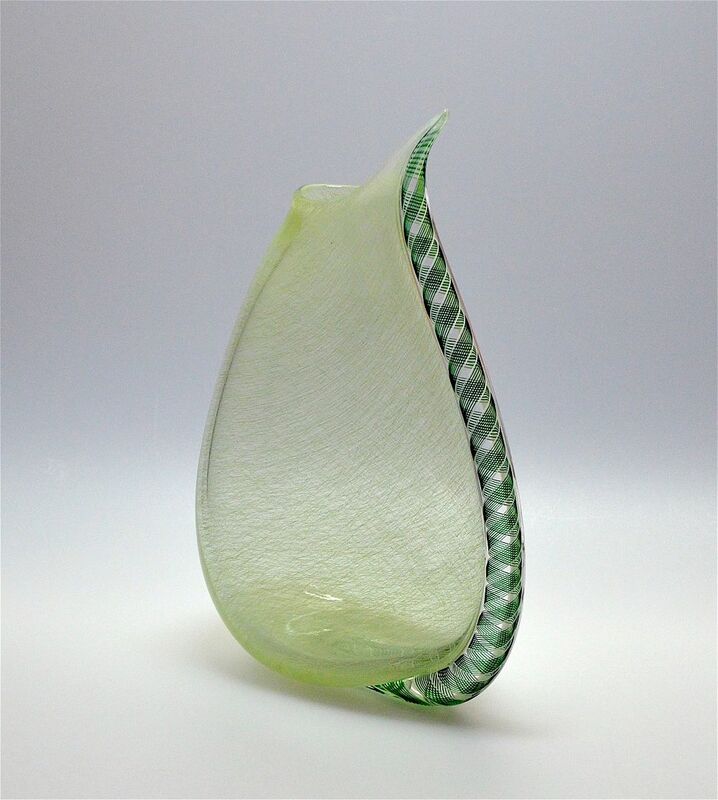 This superb vase was made by Michael Hunter for Twists Glass in 2016. Known as a merletto wedge vase it is in the spider's web like green merletto cane encased in clear glass with a thick green & white zanfirico cane along the longest edge of the vase. The top has a narrow opening and is drawn to a point on one side. The base is scratch signed "M Hunter Twists 16 Merletto Wedge" and has the Twists Glass studio label.